June 7, 2018 - The following are some photos submitted by ASA Advisory Board Member Amaury Pi-Gonzalez, longtime Spanish announcer, when he first began his career broadcasting Oakland A’s baseball in Spanish on KBRG Radio. 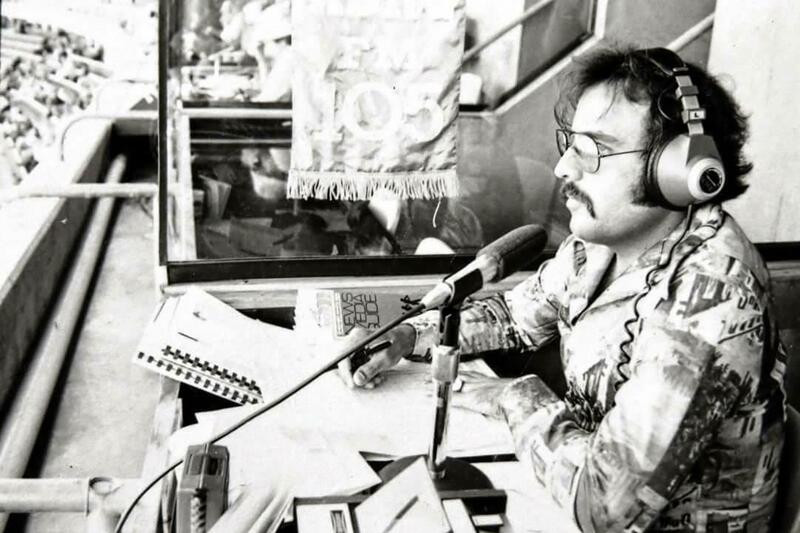 The Cuban-born Pi-Gonzalez was hired by Oakland A’s owner Charlie O. Finley as the team’s first-ever Spanish announcer way back in 1977. Pi-Gonzalez can still be heard in the Bay Area broadcasting A's games in Spanish on KIQI Radio. 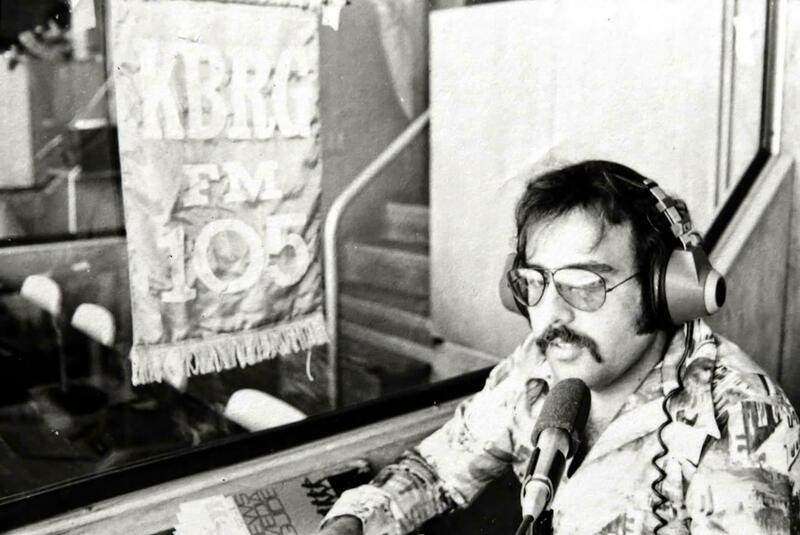 A Bay Area Radio Hall of Fame Inductee, Pi-Gonzalez has also called games for the LA Angels of Anaheim, San Francisco Giants, Seattle Mariners and Golden State Warriors. 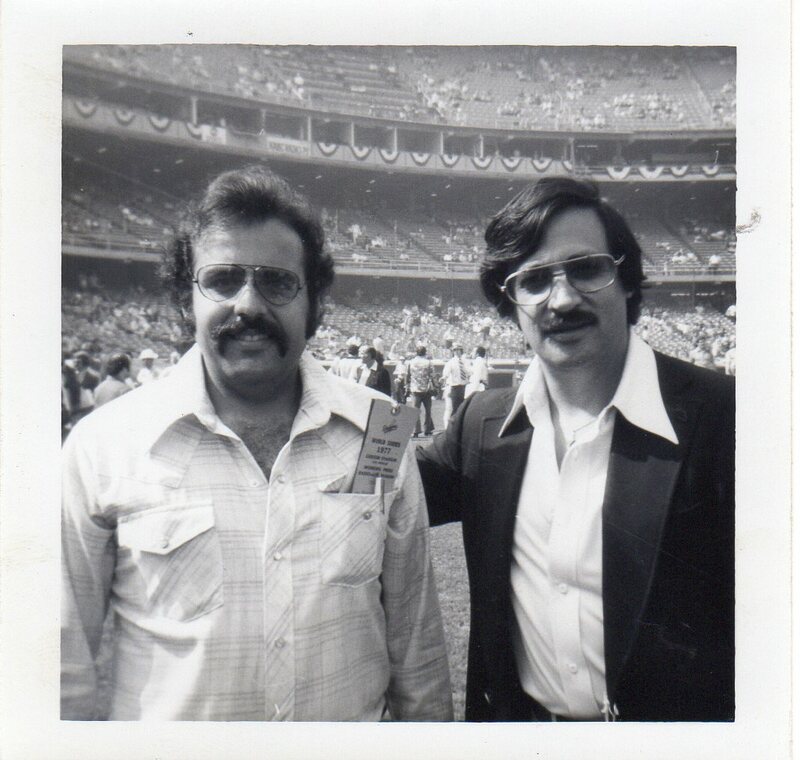 Pi-Gonzalez is also pictured below with legendary Spanish voice Jaime Jarrin at Dodger Stadium during the 1977 World Series between the Dodgers and New York Yankees. Jarrin, the 1998 Ford C. Frick Award recipient, has been calling games in Spanish for the Los Angeles Dodgers since 1959. If you have any “Blast from the Past” photos that you would like to share with us, please email them to LSchwa8918@aol.com.